You are at:Home»Featured»Interview: Alistair Aitcheson talks Greedy Bankers 2, life as an iOS developer and much more. 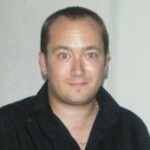 Alistair Aitcheson is an independent developer making games for iPhone and iPad. He released Greedy Bankers on iPad this year and is about to release Greedy Bankers vs The World, a sequel on iPad. We reviewed the original game here and loved it, so we thought we would get the lowdown on the new game from Alistair himself, as well as show you a load of new screens from the game and a brand spanking new trailer. 1. How did you first get into iOS development? I’ve been programming games for about 10 years now, starting as a hobbyist using Blitz Basic, and then working in XNA and Flash at university as part of the Warwick Game Design society. When I graduated I knew I wanted to develop video games, but I also wanted creative control over my projects, so setting up my own studio was the way to go. I chose to target the iOS platform because it was the best-suited to the kind of games I wanted to create: short, punchy arcade games with plenty of novel strategies to explore. So I learnt Objective-C and the Cocos2D and set about developing the first Greedy Bankers, a simple puzzle game built around complex emergent strategies and quick-thinking. 2. 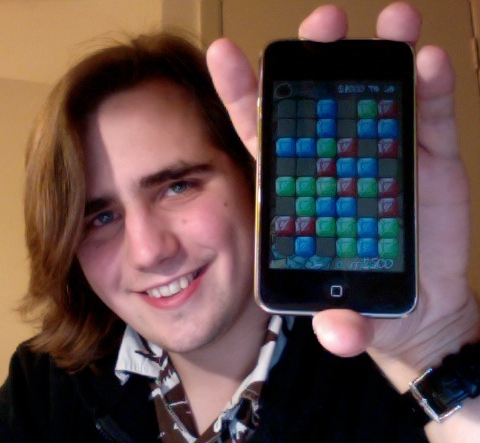 Has creating iOS games been very profitable for you? So far it’s not been quite as profitable as I’d hoped, but every business has to start somewhere. I’ve definitely gained traction as a result of Greedy Bankers! Having a complete game out in the marketplace makes such a difference when trying to build up interest in the next one, and I’ve definitely learnt a lot in the process, both technically, and in the kind of features people enjoy and expect from a paid-for title. All of this has been indispensable when developing Greedy Bankers vs The World, the sequel on iPad. 3. What can you tell us about t he new multiplayer mode? While the original iPhone Greedy Bankers was centred around single-player arcade play, Greedy Bankers vs The World on iPad is all about taking on your friends. 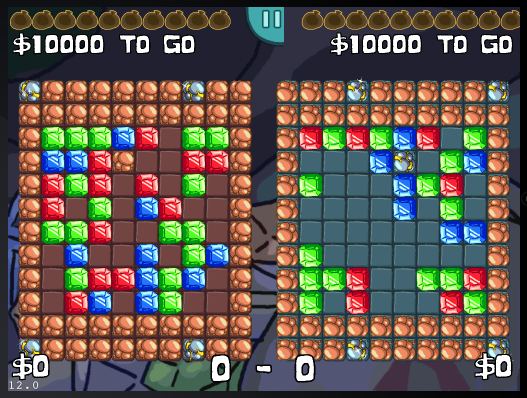 Each player takes a side of the board and needs to make the most money, by rearranging the gems to make large blocks of the same colour. 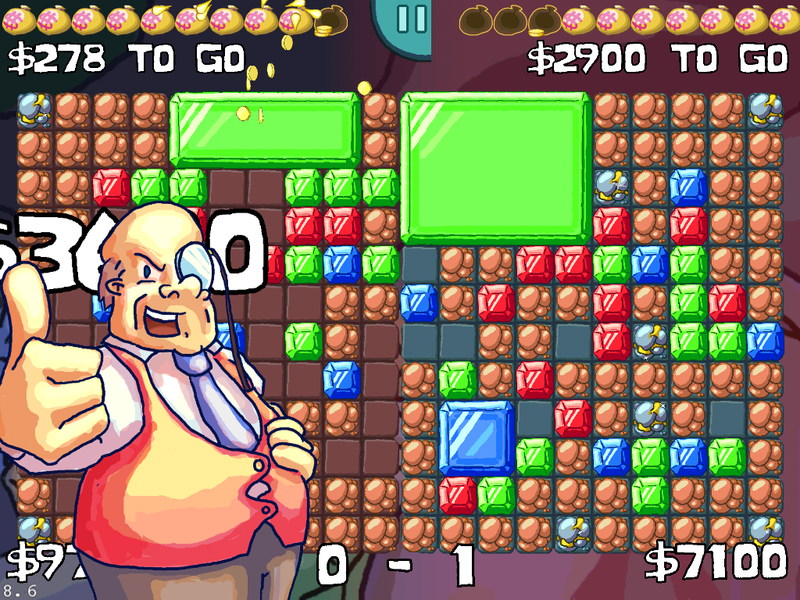 The new twist is that players are free to steal gems from their opponent’s side, simply by reaching across the screen. There’s also traps that can be dropped on your opponent, so being sneaky and greedy is part and parcel of the gameplay. It’s very frantic, and up to the players to decide what’s acceptable behaviour! The game also features a single-player Story Mode, where you can take on the computer in the same kind of matches. I programmed the AI for this entirely on my own, which was really fun to do. Each character in the gauntlet is a different character and should play differently to the others. I designed a new bunch of bankers to act as opponents, which was a great excuse to play with some stranger character designs. 4. When is the new game due for release? I hope to release this game at the end of September – not too long now! 5. Do you see potential for the Greedy Bankers series to become a well-known brand/franchise? I would love to see Greedy Bankers as a well-known franchise, that would be awesome! I’ve toyed with the idea of making comics and cartoons about the characters, as I do the artwork and animation for my games, as well as the programming. It would probably be a lot of work to do, and time that could be spent making new games, but I’m sure I could collaborate with other artists… maybe I’m thinking it through too much already! It would be very cool, and I certainly designed the characters to be recognisable, but it’s really a case of how the public picks up on it. I’ll keep my fingers crossed, and hopefully I’ll be eating Greedy Bankers cereal this time next year! 6. Have you considered porting the game to other platforms? For example it apparently only takes a couple of days to port to HP webOS with the PDK kit. That’s something I’d like to do, but as the game was coded in Objective-C it would probably mean re-coding the game from scratch, which would be a lot of effort. If the new version is a big success, I’ll probably either port it myself, or work with another coder on a port. As it is, I’m not sure, as the time spent re-developing the same game for another platform could be spent developing new games. 7. What games, if any, inspired Greedy Bankers? I’m a massive fan of classic puzzle games like Puyo Puyo (also known as Dr Robotnik’s Mean Bean Machine or Kirby’s Avalanche) and Puzzle Fighter. These games have really simple mechanics, but enable a whole range of complex strategies to use against your opponents. I wanted to recreate that “simplexity” in my own work, and making Greedy Bankers was all about blending deep and thought-provoking strategy with controls designed uniquely for the touch-screen. 8. What next for you? More Greedy Bankers or something different? Once Greedy Bankers vs The World is out on iPad, I’ll be keeping it up to date with new features, based on the responses of the playing community. I’m sure there’ll be suggestions for new game modes and bonus multiplayer rules that I’ll want to work into updates! As for the next game, I would like to approach something different next. There’s a few prototypes I came up with in university that I want to explore a bit more, and also a bunch of ideas buzzing around my head that I’m looking forward to testing out. I guess we’ll just have to watch this space!